Funny how the things that you think Oh I can do that quickly, no problem always end up taking a lot longer than you think. The flip side of that is, very occasionally, something you expect to take forever ends up being so quick there isn’t even time for your cup of tea to go cold before it’s done! 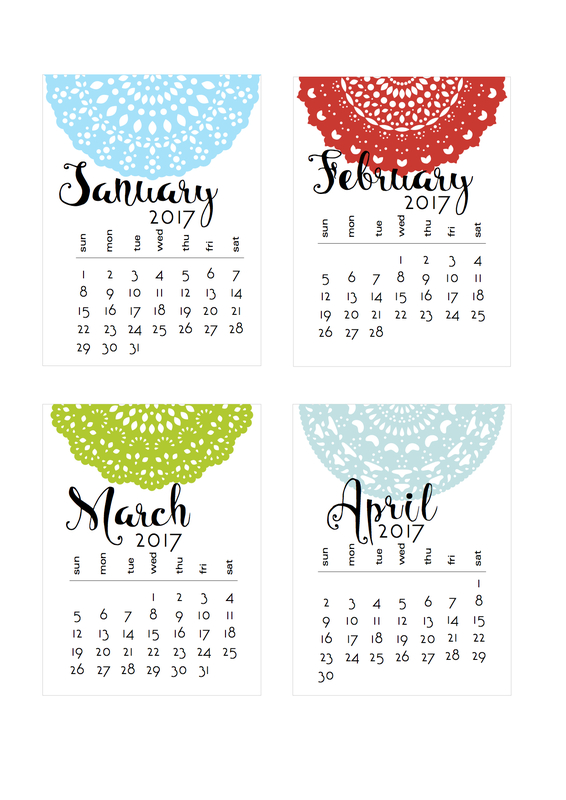 My doily calendar is perhaps the first one I made that had a horizontal orientation – all of the other 3×4 PL style calendar cards were always vertical. I finally had a request to re-orient them vertically. I had always intended to do it, but just never got around to it. I replied to the comment saying that I was sure I could do it, just no idea when. Guess what? I took me like 30 minutes to do. BAM What? (watching teen girl TV with DD gives me some references that I am really too old to use, obviously) It all came down to a lucky coincidence. The quirks of Intaglio mean that I tend to group, arrange and align things over and over. I just don’t really bother with layers. In this case, when I opened the working file, all the month stuff (month name, year, day strip and date block) were all grouped as one object, and the doily was grouped and masked with the 3×4 “card.” That meant it was pretty much a two click process to change it from horizontal to vertical, the placing the month block pleasingly and exporting to PDF. Done. Download it here – and if you like it, say thanks to Ronna who asked for it. I’ll try to do an overview post for the 2017 calendars I’ve done so far very soon. In reviewing my posts I see there are more than I realized. And I also have a few 2018 ones that match, for those who use them to make gifts. This is the calendar that I am looking for for 2018 and 2019. Thanks for these! They are so cute! I want to include a link to them in my round up of 2017 Calendars. Can I use one of your pics for the post? Thank you for these. I love that they’re re-oriented as this year’s set looks a bit silly in my portrait oriented stand but defiantly using them anyway. Just wondering if you have any plans to do a 2017/2018 version of your 3×4 Project Life decorate yourself calendars (June 28/15 post)? I really liked the simplicity (translate legibility) of the font. I used the calendar block on my photo calendars for the year and they worked out perfectly. I’m very thankful that you have time for these even through your renovations, etc. I actually have the time right now to start and finish next year’s calendars long before it’s time to think about Christmas gifts. Thank you so much for this calendar. It is much appreciated by me and everyone I have given one of my stand up frame calendars. People have started asking if I have the new calendar already. I am already planning to make some more for the holidays this year. Again, thank you. Good luck with the rest of your renovating and unpacking. I look forward to your post about all of that. Enjoy the rest of the weekend.